I won an Instagram competition two weeks ago, and I got two tickets to see the ballet 'Coppélia' in the Civic Theatre on the 3rd of December. I think it's the first ballet I've ever seen, and it was spectacular! I was delighted to win this giveaway (thanks Rachel!) as I have always admired ballet dancers with their light feet and graceful movement. 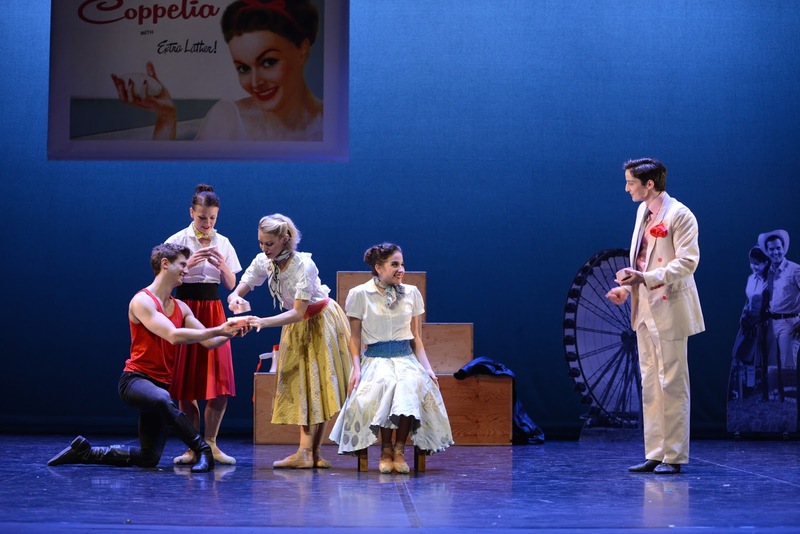 Ballet Ireland's take on 'Coppélia' is witty and fun. It's set in a 1950's County Fair; the costumes are to die for - there's swish midi skirts and bold colours. The story follows Hildy and Franz who are curious about this odd life-sized doll called Coppélia. Along with the music of Léo Delibes and Tom Lane, the characters have a strange adventure, ending up at the mysterious Dr. Coppélius' laboratories. Below are some of Ballet Ireland's photos of the show (click on them to see larger versions). The dancers were amazing - they were captivating and had me enchanted by their elegant moves. The story was easy to follow, despite the fact there was, of course, no dialogue whatsoever. There were plenty of laughs, and overall I loved loved LOVED it! It made me annoyed that: 1. I don't do ballet, and 2. that I wasn't a teen in the 50's. I shouldn't complain because I won't be doing ballet anyway, and I guess I just have to stick with this decade! Mum and I weren't expecting such a marvellous show. From now until the 20th of December, Ballet Ireland will be performing 'Coppélia' in Galway, Ennis, Limerick, Tralee and lots more places. I really do recommend a big Christmas outing to see this beautiful ballet if it's coming to a theatre near you. I was so pleased with myself when I discovered my sleeveless blazer works exceptionally well with my maroon dress. So, for my outfit of the evening, I wore the dress and blazer with my tights and my new shiny black shoes, which are my latest obsession. I also have new cute frilly black socks from Dunnes Stores, and yes, I wore them over the tights (it's hard to see them in the photo) - I had to! They work so well with the shoes. I painted my nails that night with a nail polish duo I bought impulsively from H&M recently. I mean red and glitter, could that be any more appropriate for Christmas? Annoyingly it all smudged by the time I was at the Civic Theatre in Tallaght. At the theatre, there was a gorgeous Christmas tree that I had to photograph. We won't have one in our house for another week or so, I'm getting desperate! 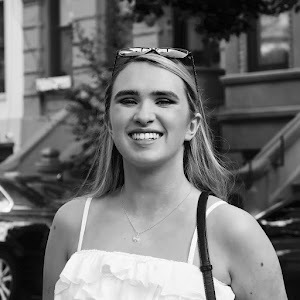 Before I took the photo, I saw my YouTuber friend Rue Kelly (she saw me first actually, I think) and we got to talk for a brief two minutes - what a coincidence! She's just as lovely and cool offline as online. Right now I'm snuffling and sniffing and coughing in front of my screen; I really want this horrible cold to go away. I'm hoping it's long dead by the time I go to Munich on Saturday. Munich on Saturday!! I am too excited for words.